Students are demanding an answer to their question, but arming teachers is not that answer. In the wake of another recent school shooting, thousands of students across the country are marching and asking a single question: Who will take action to protect students? President Trump listened to some of those students in the White House and suggested afterward that teachers and other adults working at schools should be trained and armed with concealed weapons. As a teacher in a public school in Gresham, I would not be among them for several reasons. First, in all the mass shootings over the years, when has "a good guy with a gun" stopped "a bad guy with a gun," even in concealed-carry states where good guys with guns have been present? Shooters succeed because even well-trained people caught by surprise cannot match a well-planned plot that seeks to carry out maximum destruction. The knowledge that good guys might be around hasn't been an effective deterrent to shooters. Second, adding more guns makes no sense. The president is suggesting that schools add security guards and security technology. Where will the money come from to pay for these guards? Out of already cash-strapped school budgets? Hardly. My district is just emerging from 10 years of annual budget reductions that have reduced staff to a bare minimum, increased class sizes and, as a result, have negatively affected the quality of education that our students receive. Thankfully, Gresham residents passed a bond last year that will partly be used to install security technology throughout the district. But this is a one-and-done solution. Paying security guards would require a re-structuring of budget priorities that would have an even greater effect on the quality of education. Third, teachers are trained to teach, not to be armed guards. Preparing to be a teacher requires many years of training. Maintaining a well-managed environment and delivering well-planned lessons requires much time outside the classroom and great concentration in the classroom. Teachers don't have the time or the capacity to take on the additional level of training that would be needed to become armed security guards, much less effective security guards. Fourth, what if an angry student got hold of a teacher's gun? An angry student in a classroom can cause great disruption and possibly even destruction. In my 12 years of teaching, I've seen students get very upset for a variety of reasons. On rare occasions, the room may need to be cleared in order to keep other students safe. If an angry student could get hold of a gun from a teacher in a classroom, I cannot imagine the mayhem that would result. People on the left and the right sides of the political spectrum are in agreement about one thing: something must be done. Students are demanding an answer to their question, but arming teachers is not that answer. Would I do everything in my power to protect students if an armed intruder forced his/her way into the building? Absolutely. Sadly, I have formulated a plan for that. But that plan falls short of potentially causing greater harm to other students by arming myself with a gun in the classroom. Kris Voss-Rothmeier is a resident of northeast Portland. 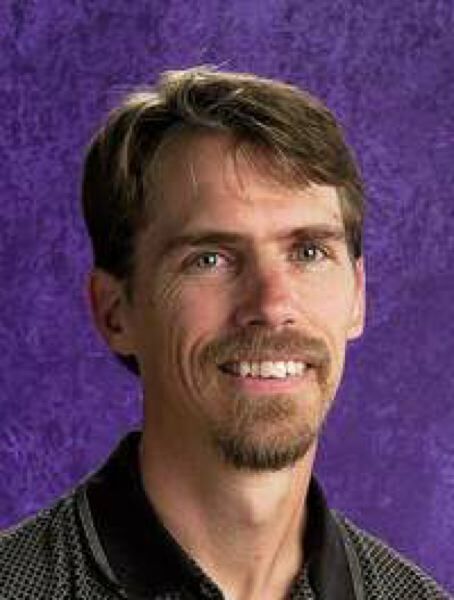 He teaches at Clear Creek Middle School in Gresham.